There you are, arm bared and teeth set, ready to endure the needle required to deliver a dose of flu vaccine, because you know that getting a flu shot will prepare you against the onslaught of illness. But it might not work out all that well, the Centers for Disease Control and Prevention says, because this year’s batch of vaccine is proving a bit weak in the face of the current strain of flu going around for 2014-15. The CDC has taken samples of flu cases this season and says that they suggest that the vaccine on hand right now is perhaps not the best match for the most common seasonal flu strain going around in the U.S., the agency said yesterday, according to Reuters. As such, it’s issuing an advisory to doctors saying that flu virus samples taken between Oct. 1 and Nov. 22 showed that a little less than half were a good match for the current influenza A (H3N2) component in shots for the 2014 to 2015 season. That means that perhaps the virus has drifted from where it started. While flu activity hasn’t been much to worry about so far, it’s going up, the CDC says, and the H3N2 strain of viruses appears to be the one on top in most cases. That’s not good news, as flu seasons where this particular strain is dominant tend to have higher hospitalization rates and more flu-related deaths. This is especially true for older people and very young kids. 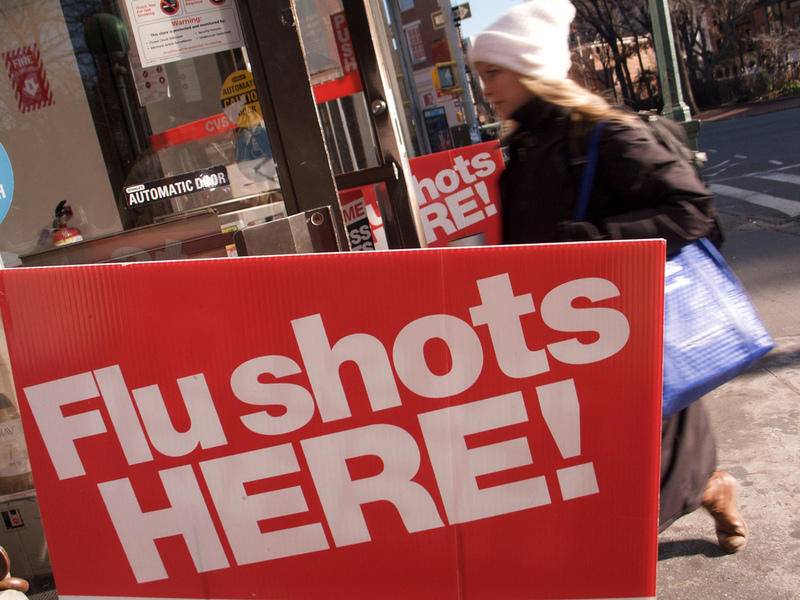 So is there a point to getting a flu shot if you haven’t already? The CDC says the current batch of vaccine could still shield you somewhat against drifted viruses and keep you from some of the more severe aspects of the flu, like hospitalization or death. And you’ll still be protected against strains that haven’t mutated that are contained in the vaccine, like influenza B viruses or H1N1.